1. Demand for food relief is rising. 2. It’s not who you think. 3. Food relief agencies are not able to meet demand. 4. Food is often the key first step towards a longer term solution. 5. Foodbank is providing a valuable service to hunger relief agencies. This communication plan is intended to be used as a management tool for the use of all media (specialising in online) promotions (on behalf of Foodbank Queensland). It is the role of the Communications Officer to enhance and promote the vision of Foodbank Queensland while communicating effectively and progressively with administration and management staff. This communication plan aims to solve any promotional, strengths, weaknesses, opportunities and threats while successfully advancing the brand of Foodbank Queensland. Foodbank Queensland would like to enhance and strengthen their online capabilities so that may receive a wider public awareness. Food relief agencies are not able to meet demands and Foodbank Queensland are engineering a online communication plan to aid in the end result of relief. The communication subject within Foobank Queensland is to successfully implement and maintain a current and ongoing online existence. This online presence is to highlight the importance of media relations with Foodbank Queensland and their stakeholders. •	It would be advantageous for the facebook account to have some kind of competition. For example, a certain number of likes means foodbank will give a hamper to an agency, or like number 567(?) recieves a hamper to give to a family in need that they know. The idea of a competition (without creating extra cost for Foodbank) is to create more online attention. •	The creation of an event (in the long term) that will enhance media coverage, community support and will provide a way of thanking volunteers, sponsors and recipients. •	To utilise the sponsors promotional campaigns with cross media promotions in mind. •	Create online accounts with Linked In (a professional network that allows you to be introduced to and collaborate with other professionals), Google+ (a multilingual social networking and identity service which consists of not just a single site, but rather various layers), and any other suggested sites. •	Threats are external factors which are not created by Foodbank Queensland itself, but emerge as a result of the competitive dynamics caused by future gaps in the market. •	As this plan is implemented the threats will become evident and will be dealt with and communicated effectively within this plan and the organisation. With reference to the five points in the executive summary, these five main points convey conclusive research and facts (by Deloitte Access Economics) that define the issue of hunger. •	An increase in the number of individuals seeking food assistance is being experienced in almost 70% of agencies and across welfare groups. More than one in four agencies reported an increase in excess of 15% over a twelve month period with one in 10 agencies experiencing an increase greater than 30%. •	More agencies are now providing food relief services to low income households than unemployed households, while the percentage providing assistance to single parent families is also high. Some households with an income are still seeking help with their basic food requirements. •	Nearly 90% of agencies reported not having enough food to meed total demand. Six in 10 agencies require at least 25% more food with almost three in10 agencies requiring double the food. •	Most agencies agree that food is a significant reason why people seek their services, and the provision of food builds trust, enabling the agency to offer other services such as housing or education. •	Some 95% of agencies were satisfied or neutral in their evaluation of Foodbank’s service provision. The Communication Officer must deal with all stakeholders in a professional manner at all times while conducting any communication duty. Any forms of publications (particularly online) must be approved by administration or management of Foodbank Queensland. Additionally, the communications officer needs to be aware of the sometimes sensitive nature of stakeholders and their needs. 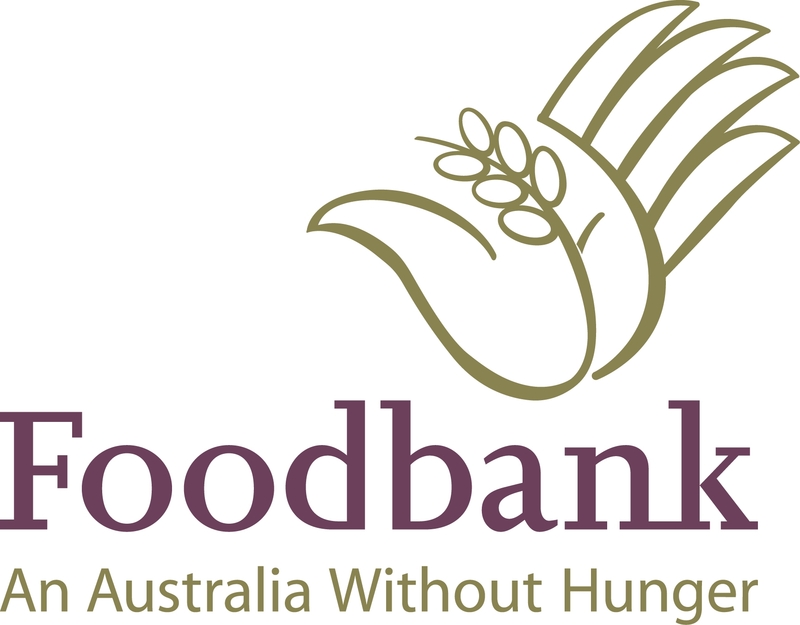 •	Foodbank Queensland rescues edible surplus food and groceries from farmers, manufacturers and retailers. •	Foodbank Queensland provides community welfare groups the opportunity to feed the needy by redistributing surplus food. •	Foodbank Queensland is in line with Work Place Health and Safety Guidelines. •	Foodbank Queensland relies heavily on volunteers. •	To maintain and highlight (through various mediums) ongoing relationships within Foodbank Queensland and with key stakeholders. •	To broaden public awareness via social media (and other sources). •	To incorporate new ideas while working with administration and management. •	The key stakeholders are the media, the wider audience, welfare agencies, food sponsors and Foodbank Queensland. •	The primary stakeholders are Foodbank Queensland, volunteers, food sponsors and welfare agencies. •	The secondary stakeholders are the general population, the media, federal, state and local governments, major sponsors and Work Place Health and Safety Regulators. •	To supply fresh produce daily to welfare organisations within Queensland and Northern New South Wales. •	To provide a unified work environment while meeting the needs of sponsors and welfare agencies. •	Updating regularly current social media sites. •	to use current organisational forms of communication while interacting with stakeholders. •	to suggest a series of creative themes to help promote Foodbank Queensland generally. •	to be open to any changes by administration or management. •	and, a current survey (17.12.2012). 1. Implement and upgrade online promotions via social media (and any other suggested sights) by way of a current and frequent online presence (including uploading of photo’s, stories and miscellaneous information). 2. The creation of an active, ongoing blog that is linked to the Foodbank Queensland website for the use of current and relevant promotions and general news. 3. Create a competition for welfare agencies on facebook which will create a wider audience (***open to discussion with administration and management***). 4. Create an event (in the foreseeable future) that will enhance Foodbank Queensland’s media coverage (***open to discussion with administration and management***). 5. To maintain, implement and change this plan accordingly to current Foodbank Queensland issues. 5.	updating on a regular basis the Foodbank Queensland twitter account by uploading latest news, pictures and general or pertinent information. 3.	the blog will be updated bi-weekly with a summary of Foodbank Queensland’s “Last two weeks” providing photos, news and links . 3.	create greater curiosity within the realm of facebook. 4.	the planning process will be ongoing and adaptable within the year. 5. (***open to discussion with administration and management***). 1.	be open to suggestions of change within this communication plan and alter the plan accordingly. •	the amount of media exposure that Queenslanders have generally received. •	and includes outputs and outtakes. The intended purpose of this communication plan is to create a backbone for the role of the Communication Officer within Foodbank Queensland. It includes strategies, actions and ongoing forms of measurement to be carried out within the next six months. This plan is not conclusive and open to ongoing alterations by the Communications Officer, alongside management and administration. The plan and role of the Communication Officer is to be reviewed in six months. Castleberry, Kim. “Easily measure your Pinterest influence, reach & impact with PinReach!” Just Ask Kim, 2012. Web. 12 April. 2012. Google Analytics. “Social Sources.” Google, 2012. Web. n.d.
Harrison, Kim. “Strategic Public Relations: A practical guide to success.” South Yarra, Australia: Palgrave Macmillan, 2011. Print. KISSmetrics. “6 tools to learn more about your Twitter engagement.” Kissmetrics, 2012. Web. n.d.
Smith, Mari. “How to measure your facebook engagement.” Social Media Examiner, 2011. Web. 13 April. 2011. TrakPointe. “How does LinkedIn measure “engagement” on LinkedIn company pages?” TrakPointe, 2011. Web. n.d.